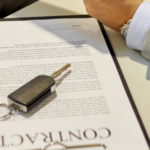 What research before contacting a leasing broker should I do? With so many options on the market for every category of vehicle from SUV's to small town cars, how do you choose what is right for you? 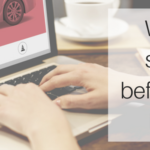 This comes in at number one in the things you need to research before contacting a leasing broker. I recommend making a list of all the essential features the vehicle needs to have to meet your requirements. Consider your daily vehicle usage and the type of roads you usually drive on. Think about the space you need in the boot and cabin. You may want to consider fuel efficiency if you're likely to do a lot of mileage. Then, the desirable features of your ideal car. Perhaps you'd like to have a DAB radio, Bluetooth integration or TV's for the kids installed. Now you have a pretty good picture of the type of car you need and the features you want you can begin the next process.